Elliott Erwitt has been taking pictures since the late forties. A member of the prestigious Magnum agency since 1954, he has photographed all over the world and his images have been the subject of many books and exhibitions. Containing over 500 photographs, many of which have never been published before, Elliott Erwitt Snaps is a unique and comprehensive survey of his work. From famous images like Khrushchev and Nixon arguing in Moscow in 1959 and Marilyn Monroe on the set of the film The Misfits, to his many more personal images of places, things, people and animals, Erwitt's unmistakeable, often witty, style gives us a snapshot of the famous and the ordinary, the strange and the mundane over a period of more than half a century, through the lens of one of the era's finest image-makers. 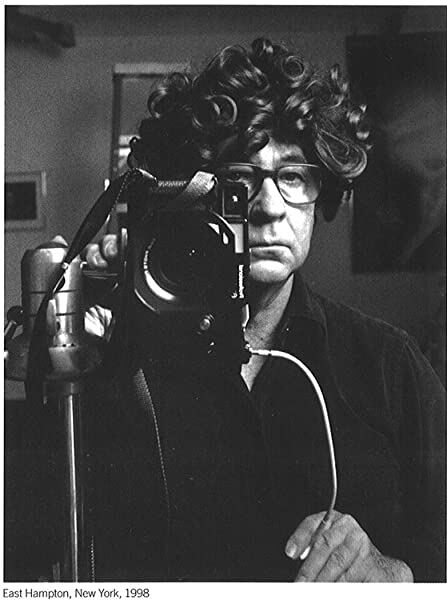 Elliott Erwitt is one of the most prestigious photographers in the world. 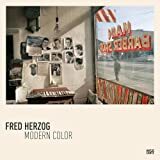 A street photographer legend, he is best known for his black and white candid shots of ironic and absurd situations within everyday settings - a master of Henri Cartier-Bresson's "decisive moment." As a young girl in the 60's, I collected Life magazines and fell in love with the humanity of photographs for the rest of my life. I don't take pictures or have anything to do with the photographic world, but I do, at this point in my life, want books spanning the entire careers of my favorite photographers. 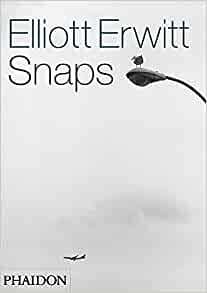 Elliott Erwitt 'Snaps' is an excellent addition with a wide array of his work over the decades. There are no split seam photos, which is great and the only issue for me personally is, I would have liked the photos in chronological order. Elliott Erwitt is among my favorite photographers, and it's really nice to have so many of his images, familiar and less-so, in one handy volume. But this book is not well designed. I'm at a loss how other reviewers could say that it is. The book's format is distinctly vertical, and yet maybe half of its images are horizontal. For the vertical images, this book is great. But for the horizontal images, this book is a disaster: they are shrunk to fit the page width, and because they then take up less than half the book's page height, they are either stacked one on top of the other, to great distraction, or they are presented alone, at the top of the page, with an ocean of blank paper sitting below them. Another reviewer has noted the poor performance of the book's spine to accommodate those occasional "full-size" horizontal images that split across the gutter. This is the bane of photo books. Publishers, please stop. Publish images flat, one per page, un-crowded, un-distracted. Given that Erwitt seems to not favor horizontal nor vertical, a square page design is called for. At the top of this review, I noted how nice it was to have so many of Erwitt's images in one book. Yes, but let me also note that there are, in this rare case, too many. There is a lot of redundancy of similar images, with the second- and third-best of various sets displayed with equal weight as the obvious superior image. It pains me to say that, because usually I am complaining about the stingy number of images we're allowed to see. And the text? Forget about it. Just drivel. Why are photo books so poorly written? Nevertheless, all said and complaints duly lodged, I truly love Erwitt's view of the world. And it isn't just that his pictures are funny. Like any good verbal comedian, his stuff works so well because his craft is so expertly honed. His compositions are very tight, his lines are very straight, his timing is impeccable. For the price of this book, in terms of value, it deserves more than three stars. (And Erwitt, himself, gets an automatic five.) But some balance needs to be given to offset the grade inflation that I think is going on with the other fans of Erwitt, tossing around stars. Buy it, enjoy it, but don't confuse five-star photography with a five-star book. Out of my 300+ photo books, this one is one my definitive favorites. Usually I try to steer clear of retrospective books, because they often looks jumbled together. The reason, I presume, is because many photographers' style changes over the time of their career. Elliott Erwitt on the other hand, defined a visual language of witty, quirky and light hearted photography. However, he does sinister subjects with an equally disarming style. Since Erwitt has had the same style all the time, the photos from 1950 look stylistically similar to the ones from 1990 (or whenever the most recent picture was shot). As such, one can consider his whole career one never-ending project with the same approach. And this is why I feel that this book is so good. An earlier reviewer pointed out that there are too many images in this book, and that is usually my gripe with most photo books too. However in this book it never feels boring. I doubt anyone would flip trough all 550 pages in one sitting and still get to study each photo closely. Instead, I consider it more of a catalog of Erwitts phenomenal eye for details and situations. Most of the pictures are situations where most of us would walk on by without even dreaming of there being anything photo-worthy. I mean, a perched seagull looking at a plane is the cover photo! Happens every day, but Erwitt captures it and points out to us all, and forces us to ask what the seagull is thinking when he sees a tin can full of humans flying by. Said reviewer also points out that the prosaic texts are somewhat less than pulitzer-worthy. I agree wholeheartedly with that. However the pictures in the book really need no captions. They ask questions, they don't tell! Erwitt's fine body of work is cleanly reproduced here and loosley arranged by subject matter. The work is allowed space to breathe and speak for itself, as there are very few textual interruptions. Erwitt's signature visual humour, evidence of the decisive moment, and the universality of humankind are all well represented. The full-size reproductions are rich with detail, sumptuous tones and precise grain. 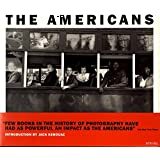 This is an excellent addition to any library of photography or coffee table, as well as an excellent introduction to the finest work of one of the world's great photographers. I really like Elliott Erwitt's photos, and his sense of humour. All my favourite Erwitt photos are included in this book, plus a whole bunch more enjoyable images. The photos are well laid out and the printing quality is very good. The only minor complaint I have is that a small number of photos are spread across two pages, and because the book is so damn thick, it's difficult to open the book fully and view these images properly. Elliott Erwitt's photographic style proves that elegance entails a simple purity of purpose. Once you open his latest book, you are drawn into a world that seems familiar, but with a twist. Erwitt sees what we all see, but captures a moment or a prespective that transforms the ordinary or odd into high art.